The Dodd-Frank Act and SEC rules set forth a number of eligibility requirements for an individual to receive a reward under the securities whistleblower program. 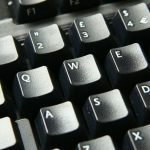 The failure to qualify under the terms and conditions of the program may mean that the individual providing information is not subject to a reward. Other exclusion factors not listed may impact an individual’s eligibility for an award as this is not an exclusive list. Please contact one of our SEC whistleblower lawyers for additional information regarding your specific situation. 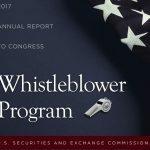 In order to be eligible for an award, original information must be submitted in accordance with the SEC whistleblower rules. This means, among other things, that the Form TCR must be submitted. The SEC program bars rewards to SEC employees and their family/household members, certain other government employees (DOJ, appropriate regulatory agency, self-regulatory organization, any law enforcement organization or the Public Company Accounting Oversight Board), and foreign government officials (broadly defined). The original information must be voluntarily provided to the U.S. Government. The submission is not considered voluntary if the SEC or other government authorities have requested the information from the individual or their representative. A subpoena is not needed to make the individual ineligible for an award. The government prohibits rewards to certain individuals that engaged in illegal conduct. This means individuals are not eligible if they (1) obtained the information by a method determined by a U.S. court to violate a federal or state criminal law; (2) are convicted of a criminal violation related to the action; or (3) the monetary sanctions over $1 million are ordered against an entity whose liability is based substantially on conduct directed, planned or initiated by the whistleblower. A submission is not voluntarily provided if it is required by a pre-existing legal duty.